Kosher salt is best known as the salt used in Jewish religious rites where it was sprinkled onto meat to draw the blood to the surface. Its job was to keep the blood there so that it could be washed away. Pink Himalayan salt is mined in Pakistan and its culinary applications revolve mostly around its appearance. Both are salts and are very similar in terms of their chemistry. In order to know when to use one and when to use the other, you will need to know how these two salts are similar and how they differ. We will cover that in the SPICEography Showdown below. How does kosher salt differ from Himalayan pink salt? 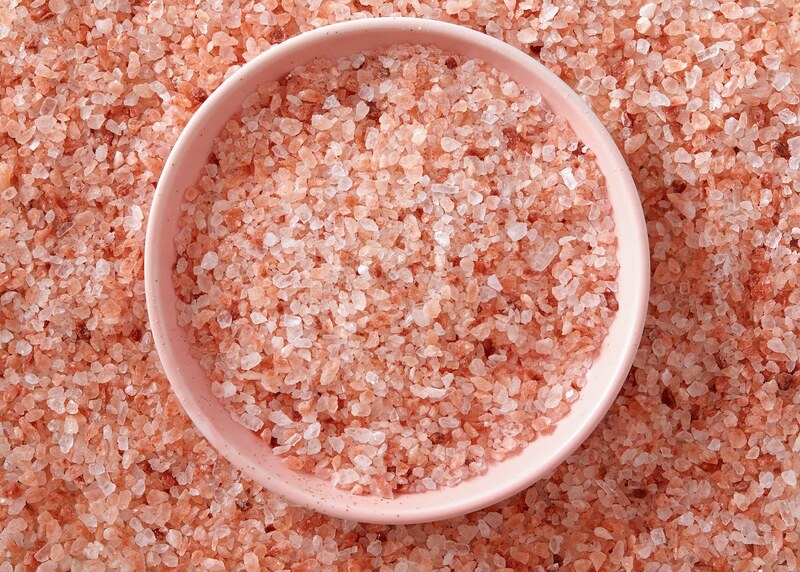 The most obvious difference between kosher salt and Himalayan pink salt is color. 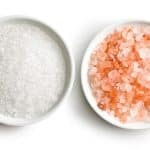 Kosher salt has the pure white color that you associate with regular table salt; Himalayan pink salt is usually pink like the name says but it can also be an off-white color that is not quite pink. In either case, the difference between the two will be instantly noticeable. The color of Himalayan salt results from minerals, bacteria and algae left over from when the salt belonged to an ancient ocean. Flavor is another important area where these two salts might differ. Kosher salt offers a pure salt flavor that is clean and devoid of any other notes aside from simple saltiness. 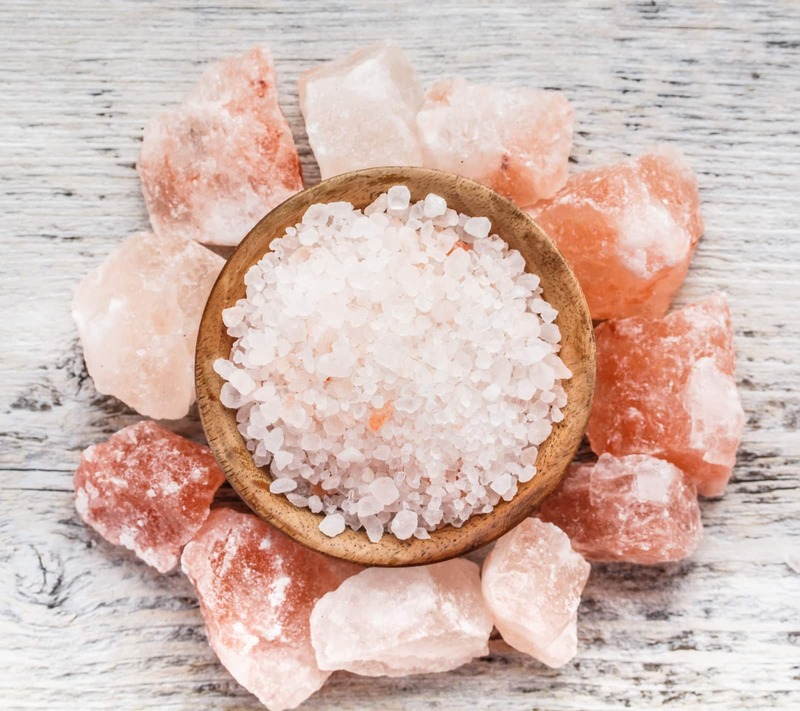 If all you want is is that flavor, you may not want to use Himalayan pink salt since it also offers mineral notes that give it a more complex flavor profile. Kosher salt and Himalayan pink salt also differ in terms of nutritional profile. While kosher salt is mostly just regular sodium chloride, pink salt has several nutrients that your body needs. Note that these nutrients are present only in trace amounts. Can you use kosher salt as a substitute for Himalayan pink salt and vice versa? Both salts have the same primary function — to season food, which means that they are interchangeable if your focus is on flavor. The mineral flavor notes that you get from pink salt are subtle, which means that you are not likely to notice them in most applications. You can use kosher salt in applications that require pink salt. Keep in mind that while it works well as a finishing salt since it does not dissolve quickly, it will not be as visually striking since it is just a plain white salt. If you want a substitute for the Himalayan salt blocks used to cook meat, kosher salt will not be a good option. Pink Himalayan salt works as a kosher salt substitute since it too has coarse grains. Like kosher salt, it will also dissolve slowly and is thus a good option in many kosher salt applications. 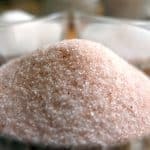 When should you use kosher salt and when should you use pink Himalayan salt? Use kosher salt for general cooking. Professional chefs prefer it due to the ease of measuring since it is easier to pick up a precise amount and sprinkle it over food. Some cooks also believe that kosher salt can help hold moisture inside meat making certain cuts more succulent. Kosher salt is also good for pickling since it is usually additive-free; additives can cause issues in pickling. Use pink Himalayan salt for finishing dishes. The color can make it a striking visual component in a meal’s presentation.